The owner of a Miami health care agency pleaded guilty this week for his participation in a $60 million home health Medicare fraud scheme, announced the Department of Justice, the FBI and the Department of Health and Human Services. Tags:Department of Health and Human Services, Department of Justice, Federal Bureau of Investigation, Health Care Fraud Prevention and Enforcement Action Team (HEAT), Medicare Fraud Strike Force, Nany Home Health Inc., Ronat Home Health Care Inc.
Who’d have thought South Florida’s sandy beaches and sunny lifestyle could take a back seat in senior appeal to the likes of Provo, Utah, and Madison, Wis.? The owner and operator of a Miami health care agency pleaded guilty yesterday for his participation in a $42 million home health Medicare fraud scheme, announced the Department of Justice, the FBI and the Department of Health and Human Services. Tags:Department of Health and Human Services, Department of Justice, Federal Bureau of Investigation, Health Care Fraud Prevention and Enforcement Action Team (HEAT), Medicare Fraud Strike Force, Office of the Inspector General, Willsand Home Health Inc. The former co-owner of a Houston-area home health care company was sentenced this week in Houston to 108 months in prison for his participation in a $5.2 million Medicare fraud scheme, announced the Department of Justice, the FBI and the Department of Health and Human Services. 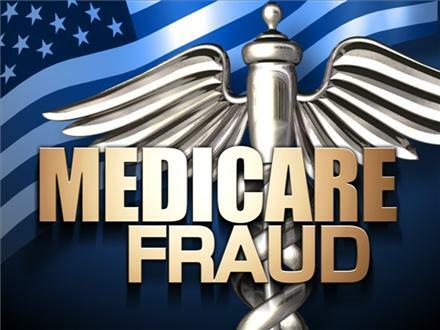 A Houston-area home care nurse was sentenced today for her participation in a $5.2 million Medicare home health fraud scheme, announced the Department of Justice, the FBI and the Department of Health and Human Service (HHS). By publishing announcements about home health fraud, HCAF demonstrates its commitment to honest providers throughout the state by shining a spotlight on the dishonest providers, eager to provide hope and validation to the good and send a message to the bad actors that their days are numbered. If you thought Medicare fraud had faded as a crime, think again. Tags:Department of Health and Human Services, Department of Justice, Federal Bureau of Investigation, Health Care Fraud Prevention and Enforcement Action Team (HEAT), Medicare Fraud Strike Force, Nany Home Health Inc. Tags:Department of Health and Human Services, Department of Justice, Federal Bureau of Investigation, Health Care Fraud Prevention and Enforcement Action Team (HEAT), Prime Home Health Care Services Inc.